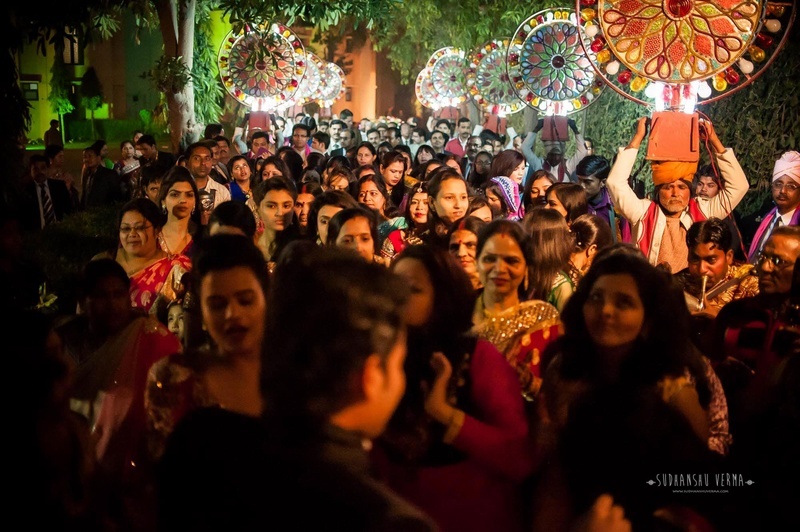 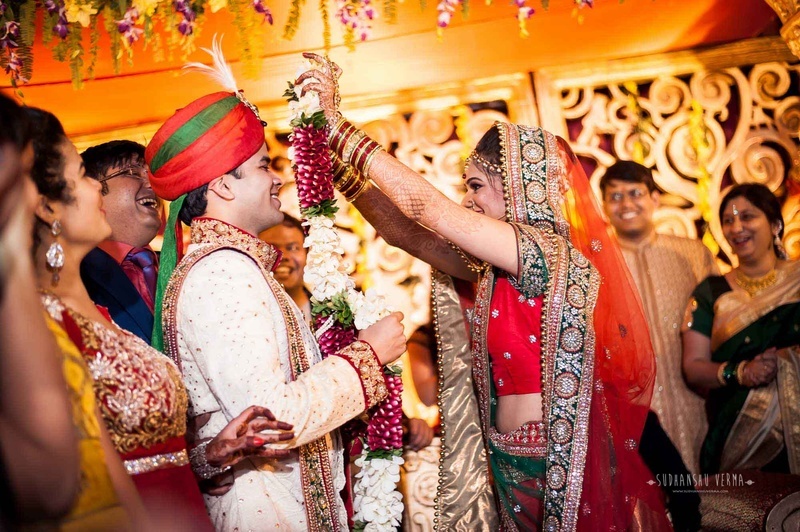 Indian wedding are full of colour, loud band-baaja and entertaining families which matter the most! 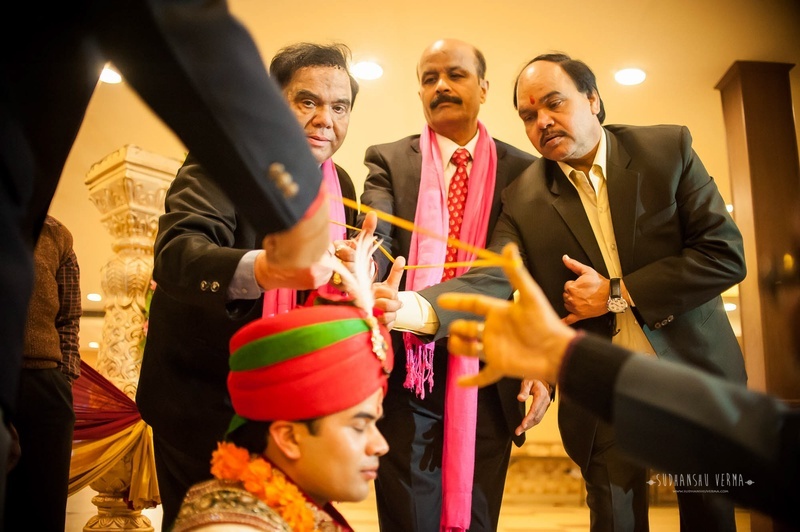 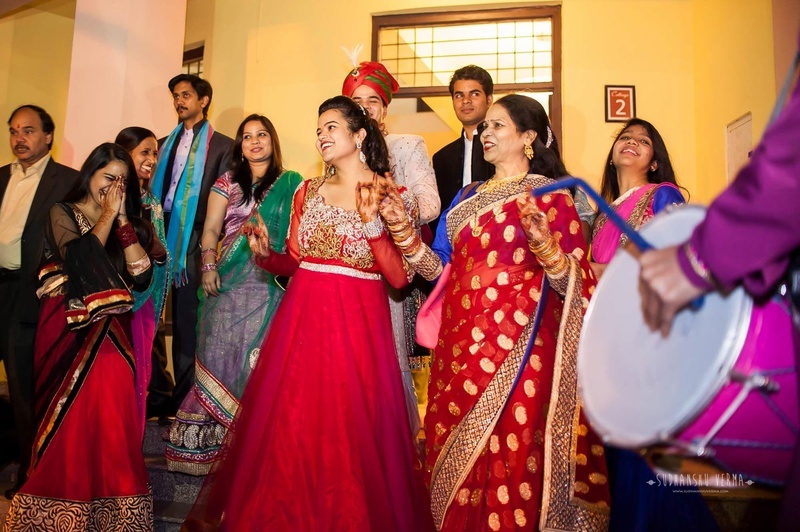 Arpana and Nikhil’s traditional marriage ceremony had gorgeous bouts of colour, loud band-baja and a loving family. 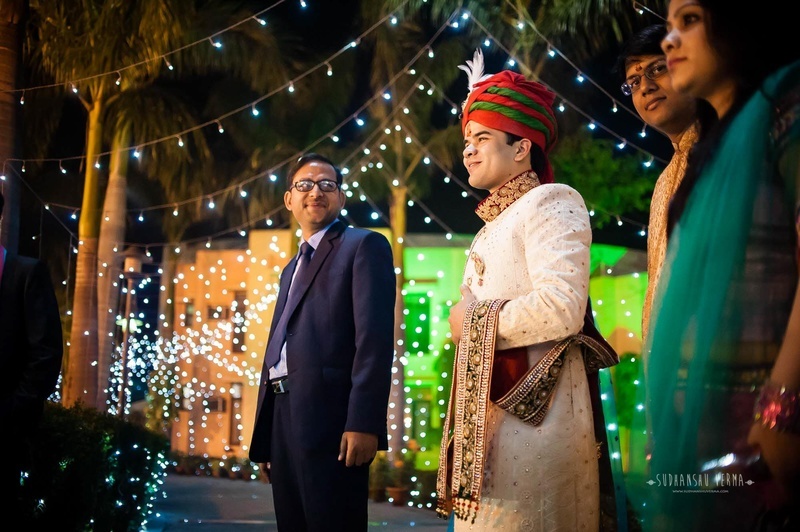 LED lit-up light boards illuminated the entire vibe of the lively baarat as friends and family danced to the wedding venue where this beautiful couple would take their seven vows and be one forever! 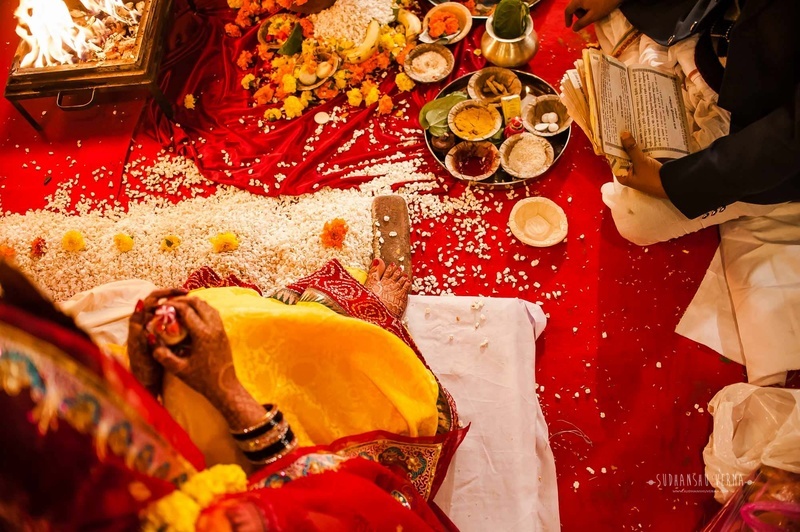 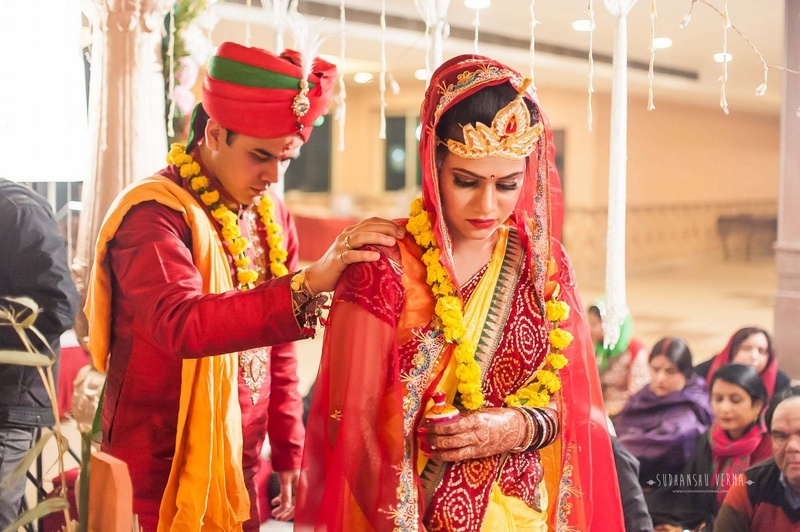 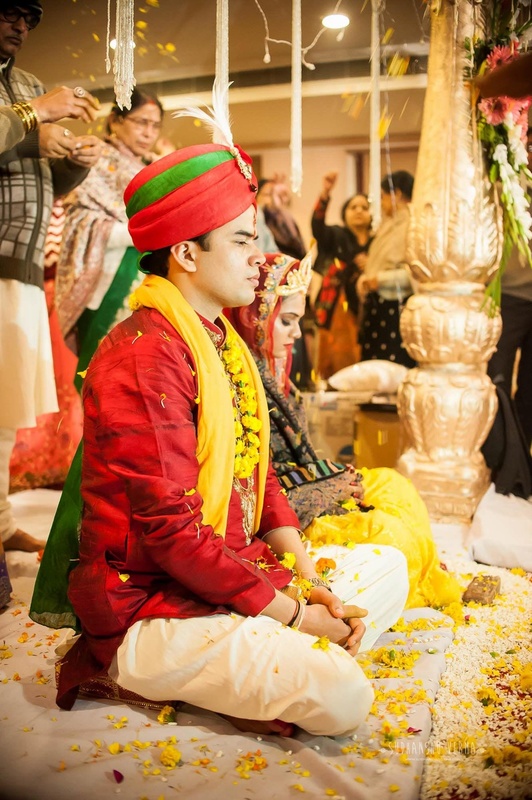 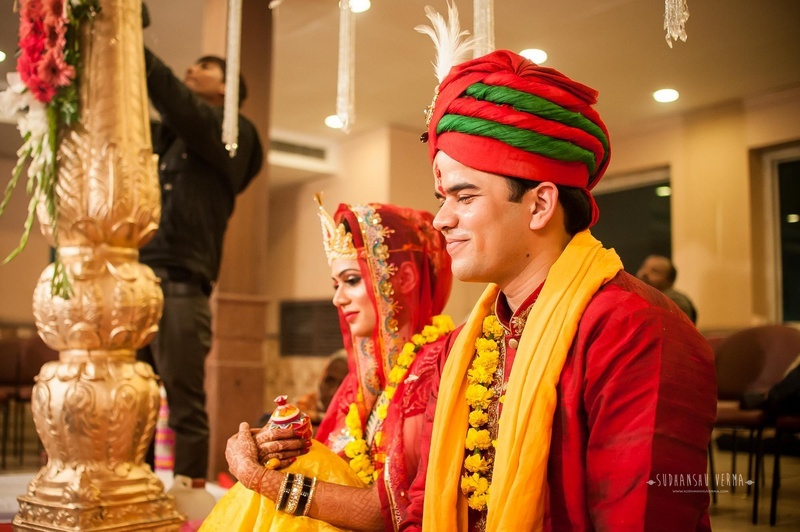 Wearing a traditional red and yellow bandhini saree with minimal bridal jewellery – all eyes were on the gorgeous bride, Arpana who held hands with her beloved Nikhil as they encircled the holy fire of the Havan Kund. 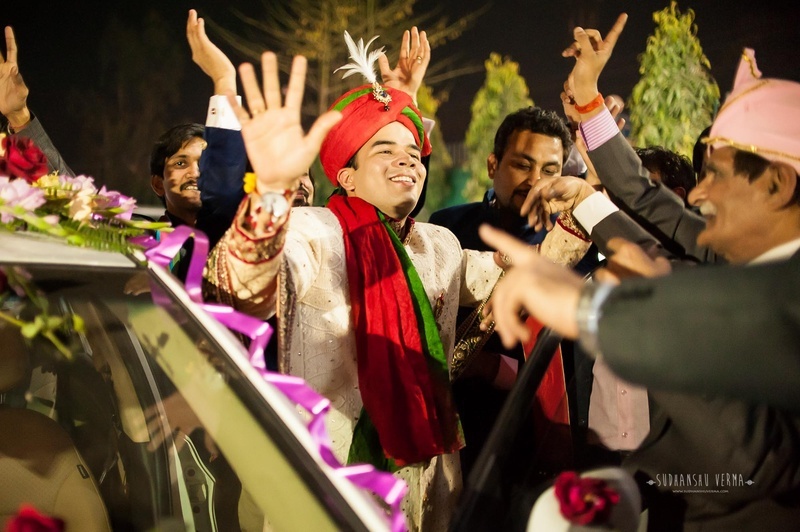 Nikhil matched his bride perfectly in his red raw silk kurta with intricate threadwork and styled it with a red and green Safa. 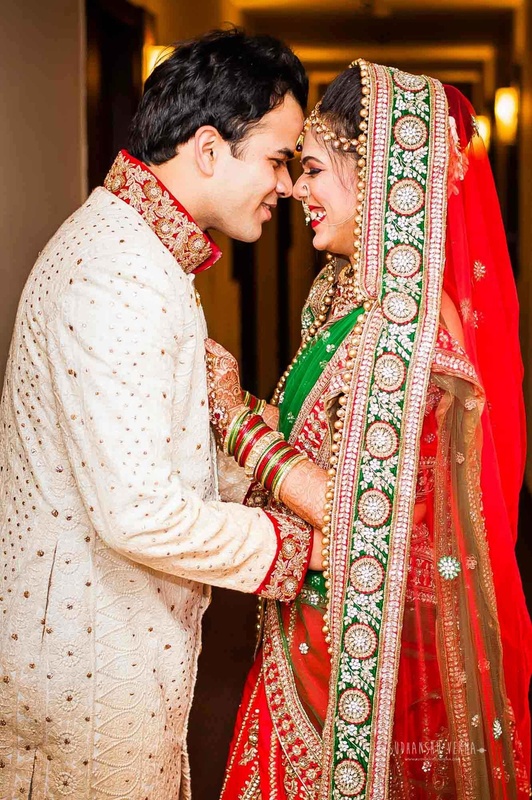 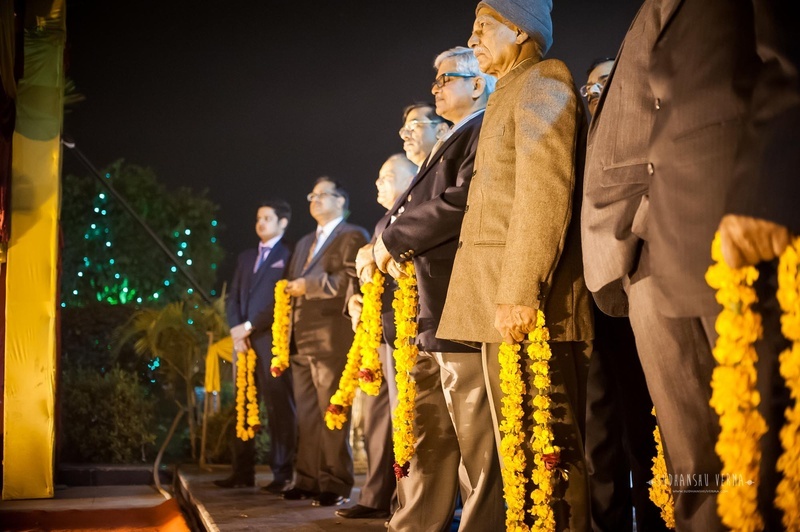 Later, at the open-air reception ceremony, this duo upped their ethnicity game in the attires they wore. 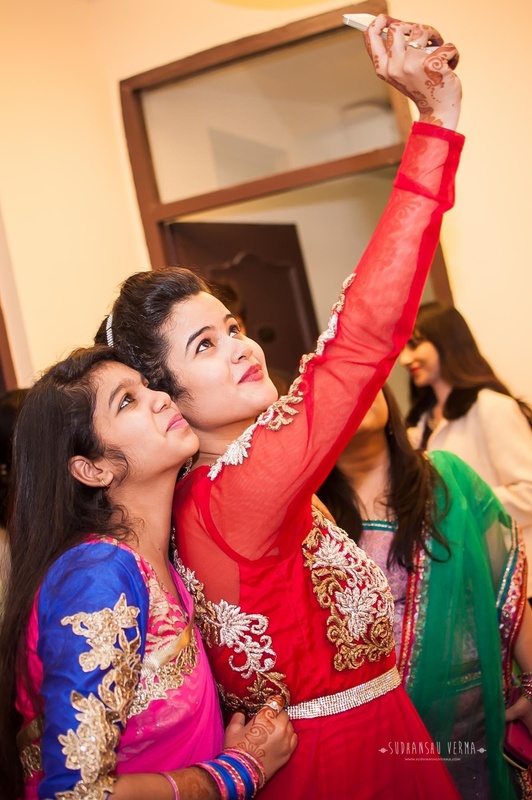 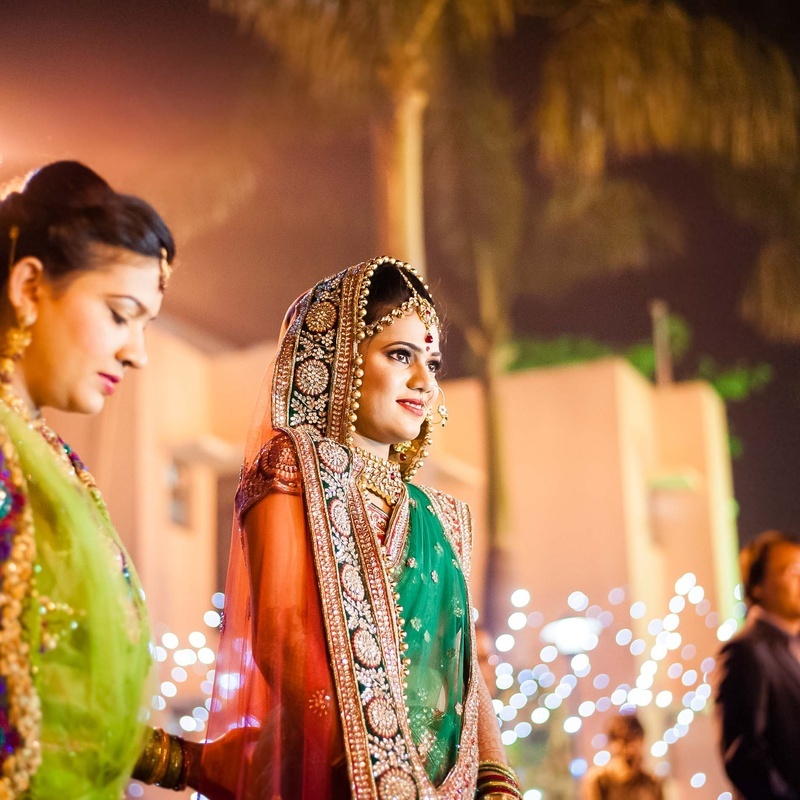 Arpana chose a mix-matched wedding lehenga in hues of red, green and coral. 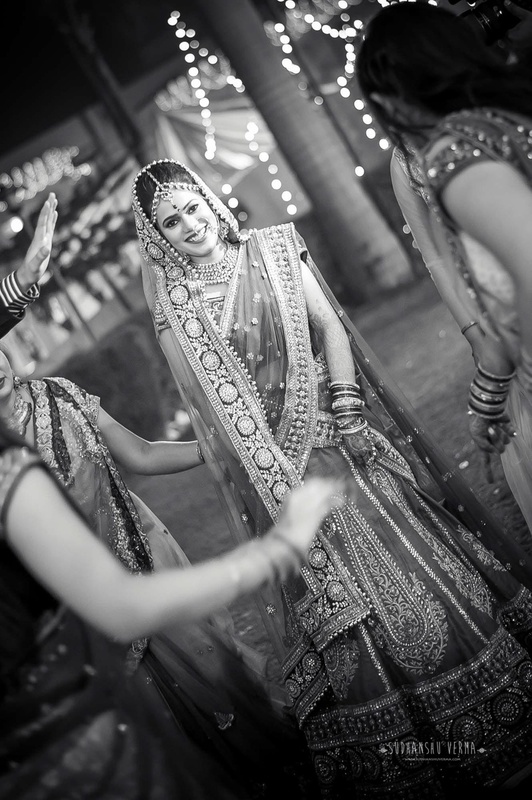 Her lehenga was intricately embellished with crystals and beads – it was a perfect blend of contemporary styling and traditions, we think! 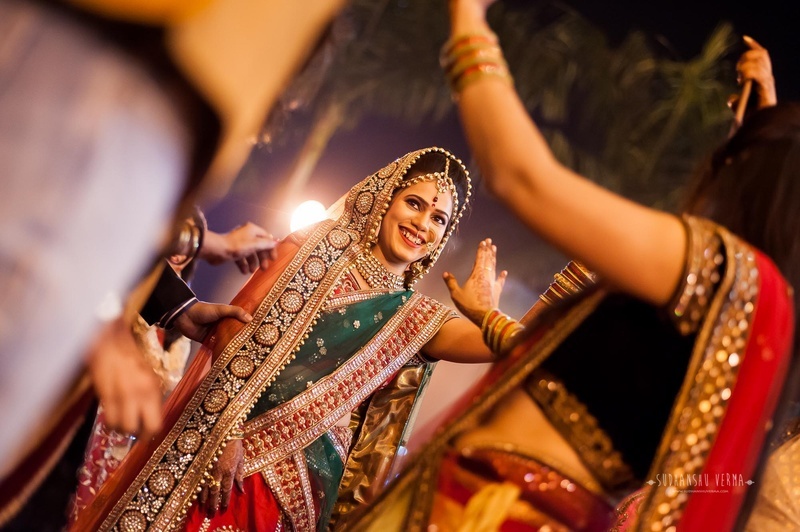 She styled her look with a polki studded multi-strand choker and maathapatti. 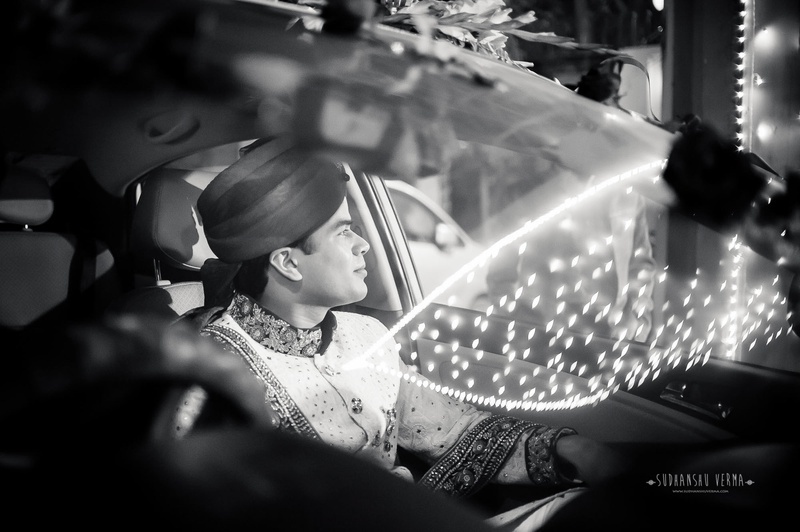 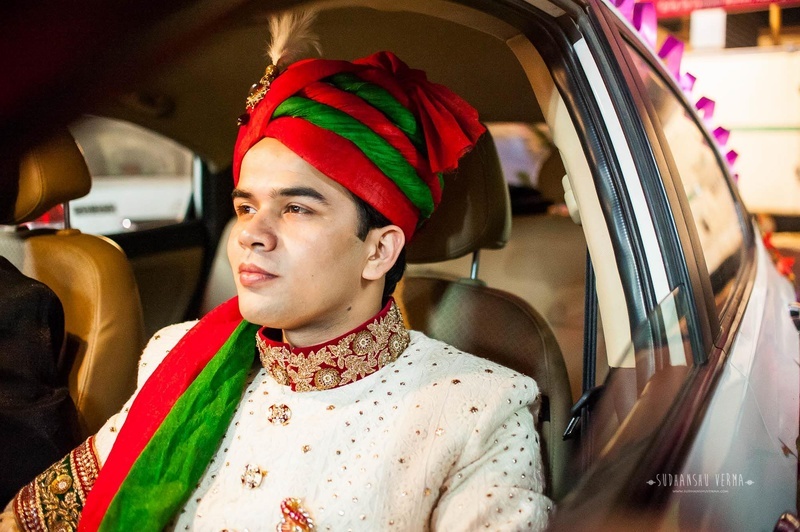 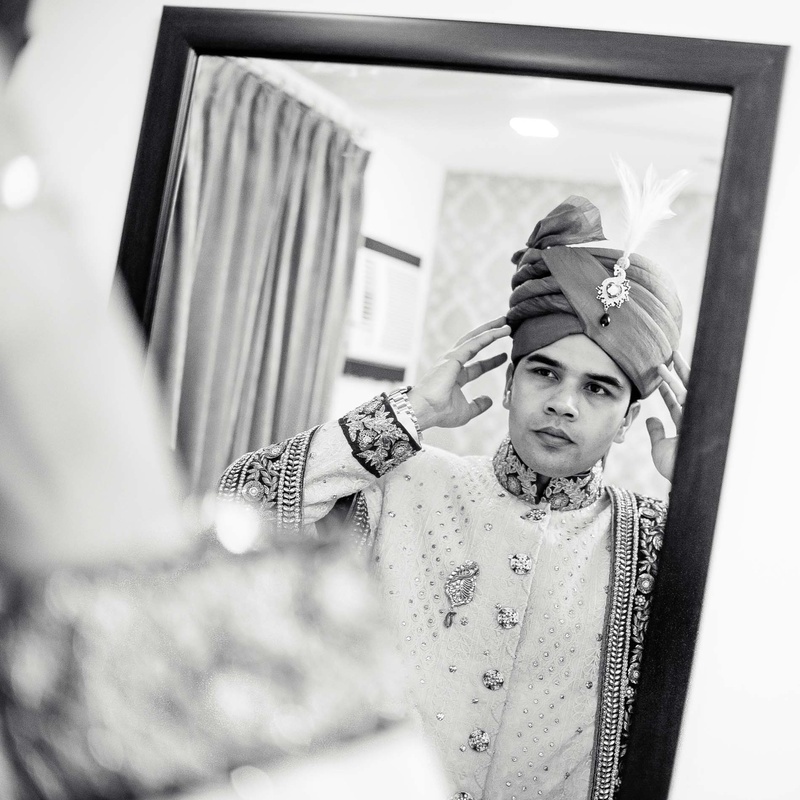 Nikhil was not too far behind in his Ivory bandhgala sherwani that was embellished with sequins and beads. 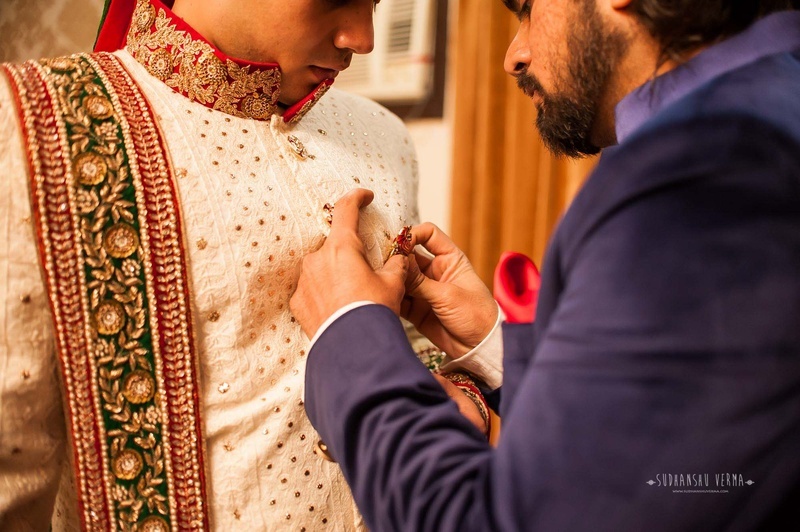 The detailed sequins on the collar and cuffs upped the style quotient by a hundred! 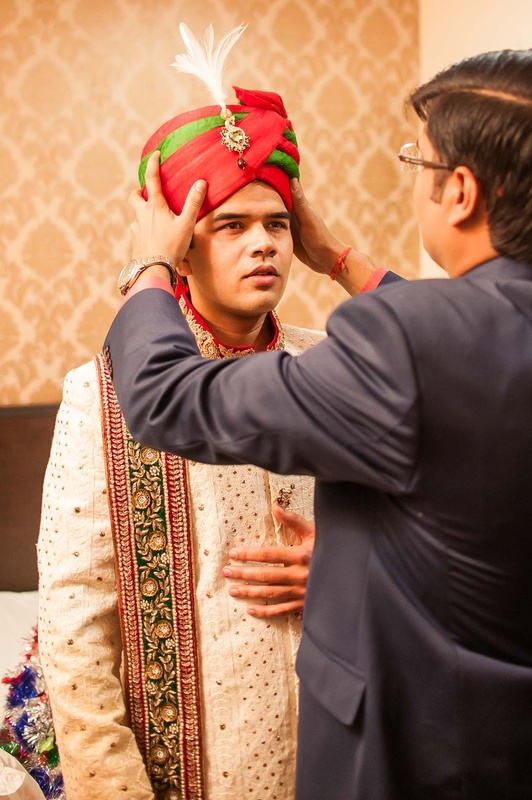 – Grooms, take note!